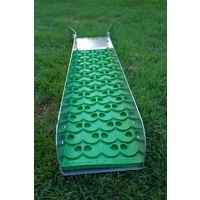 Introducing the 8 inch modular river sluice. 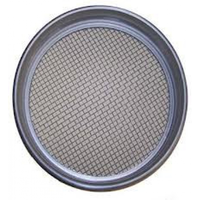 Dimensions for this sluice are 8 inch x 37 inch (47 inch with flair attached). The difference between this model and the two bigger brothers is this thinner channel will allow you to work in less flow that may not suit the larger models. 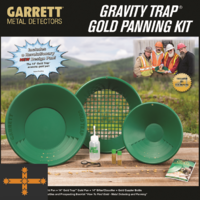 If you are a frequent gold prospector in areas with low flow, I would recommend this model. 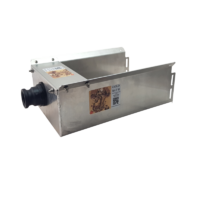 Another great feature of the smaller model is its suitability to running a small bilge pump with a header, it’s a great starting point with potential upgrades. 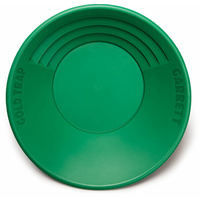 This little ripper sluice is equipped with a removable flair header for ease of packing and storage. 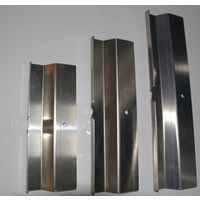 A CNC slotted clamping system for easy removal of the sluice mat. 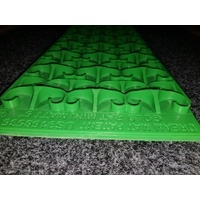 The sluice comes standard with the 8 inch dream matting. 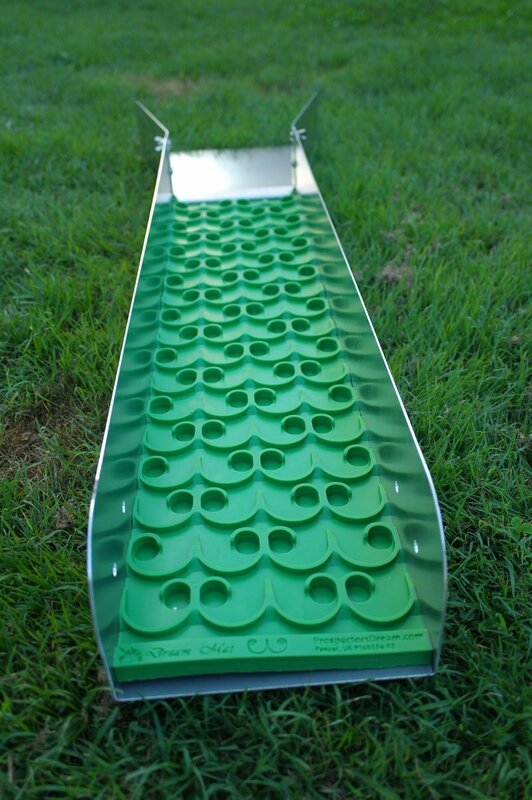 The holes are pre drilled in four locations of the sluice are for the optional high banker led kit which allows you to run your sluice in fast flowing water, free standing as to set-up as a power sluice by adding a bilge pump or other water source at home. This is a great unit for recirculating and running clean-ups or just taking down the creek for a leisurely dig. 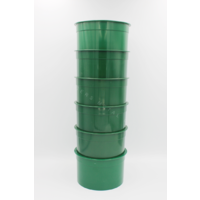 Come in store and see this fully self-contained running sluice in action.